A chocolate sponge cake with chocolate buttercream covered in icing with sugar paste decorations. 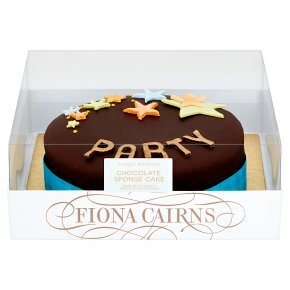 7 inc celebration chocolate party cake. Lovingly handmade. Filled with a smooth chocolate buttercream.